In the field of physical security, security lighting is often used as a preventative and corrective measure against intrusions or other criminal activity on a physical piece of property. Security lighting may be provided to aid in the detection of intruders, to deter intruders, or in some cases simply to increase the feeling of safety (Which may or may not be a good thing by itself). First, while studies have shown that adequate lighting around a physical structure can significantly reduce the risk of an intrusion, it is important that the lighting be designed carefully as poorly arranged lighting can create glare which actually obstructs vision, and other studies have shown that many criminals are aware of this effect and actively exploit it. The optimal design will also depend on whether the area will be watched directly by humans or by closed-circuit television, and on the location of the observers or cameras. Security lighting may be subject to vandalism, possibly to reduce its effectiveness for a subsequent intrusion attempt. Thus security lights should either be mounted very high, or else protected by wire mesh or tough polycarbonate shields. Other lamps may be completely recessed from view and access, with the light directed out through a light pipe or reflected from a polished aluminium or stainless steel mirror. For similar reasons high security installations may provide a stand-by power supply for their security lighting. Reduce and prevent glare and situations mentioned above. 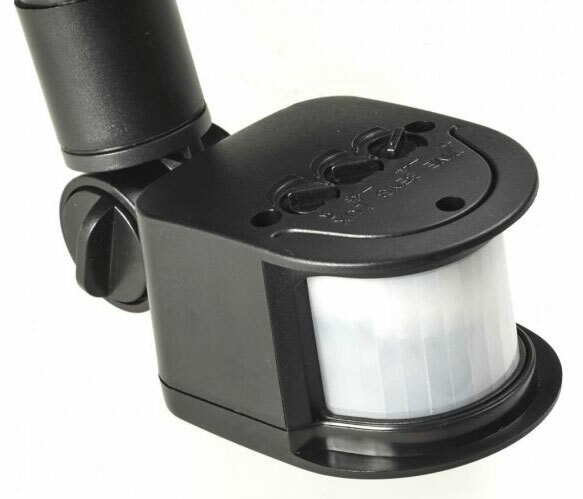 Shielded or full cut-off (FCO) lamp housings which conceal the bulb could be used, which should direct light onto the ground or target and away from observers. Lighting should be bright enough, and not "as bright as possible". In many cases a good rule of thumb is 0.5 watts per square metre (0.05 watts per square foot). This might need to be increased in very confused environments, but conversely can be reduced in very open environments. Multiple lamps of moderate power instead of a few powerful lamps will reduce glare, provide more even illumination with reduced pools of shadow, and provide some redundancy if one lamp's bulb blows out or the light fitting malfunctions. Prevent malicious tampering or interference. This means that besides the lamp itself, the entire circuit from the source (Electric company or generator), through the wires, to the lamp and back should be protected. Luminaires should be accessible so that the maintainer can replace bulbs (if replacable) as quickly as possible and clean the luminaires periodically. However they should be protected or somehow made inaccessible to tampering. Ensure the electric meter box is locked or inaccessible, or else power the lights from a different line. Control and power lines, where outside or vulnerable, should be either buried well underground (in conduits preferably) or at a height of at least 8 metres (about 24 feet). Ideally multiple circuits should be used to prevent an accidental or malicious short or cut causing all illumination to fail. Security lighting can be used in residential, commercial, industrial, institutional, and military settings. Lights intended to be left on all night used to be high-intensity discharge lamps as these gave good energy efficiency, however with the advent of LED lighting it is now much easier to achieve a good level of illumination at night without it costing large amounts in electricity. They can be lights with integral photocell, PIR, timer or a combination of sensors. Standard light fittings may be activated by sensors such as passive infrared sensors (PIRs), turning on only when a person (or other mammal) approaches. Some PIR units can be set up to sound a chime as well as turn on the light. 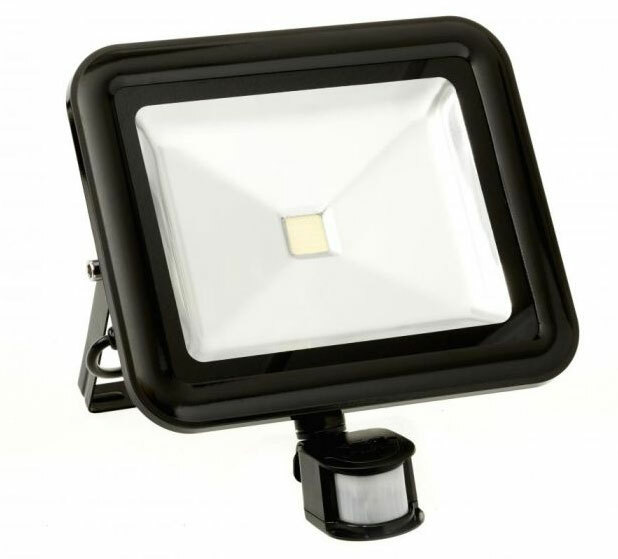 Most modern security light units have a photocell so that they only turn on when it is dark.